Telemedicine services are getting popular among patients and doctors as it not only convenient but also cost-effective for both of them. The answer is an affirmative and emphatic yes; telemedicine offers an excellent solution and alternative to a brick and mortar clinic location to achieve a real-time consultation and obtain advice on treatment options. 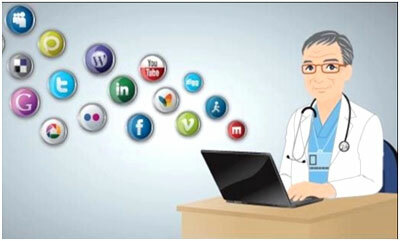 According to a global survey conducted by a reputed news site, due to the revolution in technology, 80% of medical health issues can be solved online. This trend of telemedicine & telehealth is rising and getting more popular around the world in both under-served as well as more modern medical university level medical centers. A report also states that more than half the hospitals in America offer telemedical services. It helps them to lower healthcare costs, offer better healthcare services and boost their overall efficiency, revenues and bottom line. An online doctor consultation is both convenient and easy to use especially for those who live in remote areas and have busy schedules. By using a video conferencing platform smartphone apps, and online management systems, doctors can connect with patients and diagnose them. It is also an exciting alternative to the commute to a clinic, medical center, hospital or health care facility.